Dr. Smith is an Assistant Professor in Communication, Popular Culture & Film at Brock University. Her research explores the tensions between openness, privacy, and participation in technologically mediated culture. Some of Dr. Smith’s research is conducted in collaboration with Mozilla, a global non-profit committed to the open web. From 2013-2015, Karen conducted collaborative research with Mozilla to build the Hive Toronto digital literacy network. The network consisted of over 60 organizational members including public library systems and after-school programs. In 2017, Dr. Smith was awarded a Mozilla Research Grant for a project titled Add-ons for Privacy: Open Source Advocacy Tactics for Internet Health. Dr. Smith is also currently a collaborator on The eQuality Project, to examine issues such as privacy and cyberbullying which face youth. 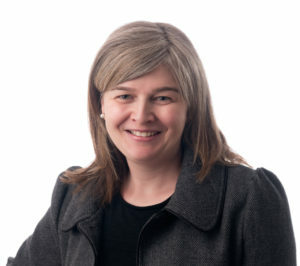 Karen’s research is published in venues including the International Journal of Communication, Surveillance & Society and Computer Supported Cooperative Work.